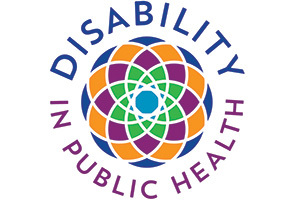 There is a need for public health initiatives that efficiently address the higher rates of chronic conditions and health disparities among people with disabilities; however, most public health training programs do not include curricula material that includes people with disabilities in core public health efforts. This knowledge of the health status and public health needs of people with disabilities is critical in any successful initiative. These Competencies and their associated learning objectives are specifically designed to build a stronger public health workforce to both reduce health disparities and include people with disabilities in all public health planning efforts. Check out how these Competencies can be embedded into your public health curriculum and training program! Designed for public health professionals, this interactive toolkit contains updated resources and best practices to promote inclusion in public health efforts. From key issue areas such as person-first language, community action guides, and emergency preparedness, this online toolkit provides you with up-to-date and innovative resources to promote inclusion, starting from the planning stages of an initiative. Updated frequently by a host of partner organizations, this toolkit is intended to increase your capacity to create programs that benefit entire communities, including people who have disabilities. Feel free to search the toolkit for resources that fit your needs! Act Early Ambassadors expand the reach of CDC's "Learn the Signs. Act Early." program and support their respective state's work toward improving early identification of developmental delays and disabilities, including autism. The Ambassadors selected are typically professionals with medical, child development, developmental disability, special education, and early intervention expertise. Among their work, Ambassadors promote the integration and adoption of "Learn the Signs. Act Early." resources into state and local systems that serve young children and their families. Learn more about how you can connect to your state or territory's Act Early Ambassador! AUCD’s Pubic Health Practice works to create health promotion and public health efforts that include people who have disabilities. The key in various of our projects are efforts to reduce health disparities and enhancing capacity at the workforce level.